Big science has expelled smart new ideas from the classroom...What they forgot is that every generation has its Rebel! Ben Stein made a name for himself as a presidential speech writer, which means that the man knows his politics. But Stein has spent most of his time in the public eye playing goofy roles in movies and on television. Stein decides that it is time to remind the world of his political roots as he explores the differences between Darwinism and intelligent design. 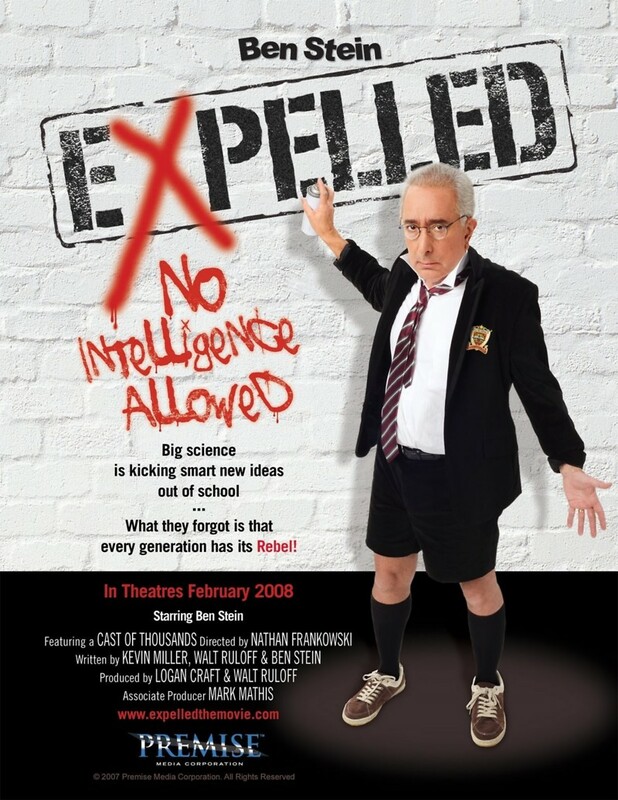 Ben Stein exposes that college professors are being censored through termination when they put forth the possibility that intelligent design may be an alternative to Darwinism. Falling squarely on the side of intelligent design, Stein goes on to attack Darwinism and even goes so far as to compare Darwinism with the Nazis of World War II Germany.